The Internet tells the story that back in the 5th Century, St. Bridget complained to St Patrick that men were really slow in asking for woman’s hands in marriage (What’s new?). Apparently, the single Irish women were a little tired of the antiquated custom that only men could propose so St. Patrick decided all aspiring women could propose during the extra leap year day. He wasn’t being all that magnanimous since by English law, the 29th of February didn’t have any legal status anyway. In the first implementation of this “new” practice many years later, the law stated that any man who refused a proposal was fined and although that was a nice twist, the fine only ranged from a kiss to a pair of gloves. Good grief, if you had to wait until Leap Year to even ask for some reluctant beau’s hand and then were turned down, shouldn’t the effort have been worth at least a sheep or a cow? 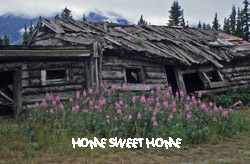 n. The poor hillbilly Sadie was “the homeliest gal in the hills,” according to her father who worried that she would never find a husband. To find his Sadie a mate, Daddy arranged for the Sadie Hawkins Day foot race for unmarried women and bachelor men. If the women caught any bachelors, the men were duty-bound to marry them. The tradition soon “leaped” to the college campuses and Sadie Hawkins Day celebrations became the rage with foot races that ended with mock weddings but mostly it promoted Sadie Hawkins Day Dances where women invited the men. Since the required attire was ragged hillbilly clothes (the skimpier the better), this fit well within the budget of most college students. Ah well, God Bless until next week. Minshall’s RVing Alaska and Canada is available thru Amazon.